It’s been over 2 years since I discovered liquid lipstick. Since then I almost never used anything else on my lips because it gives you the perfect long lasting finish. 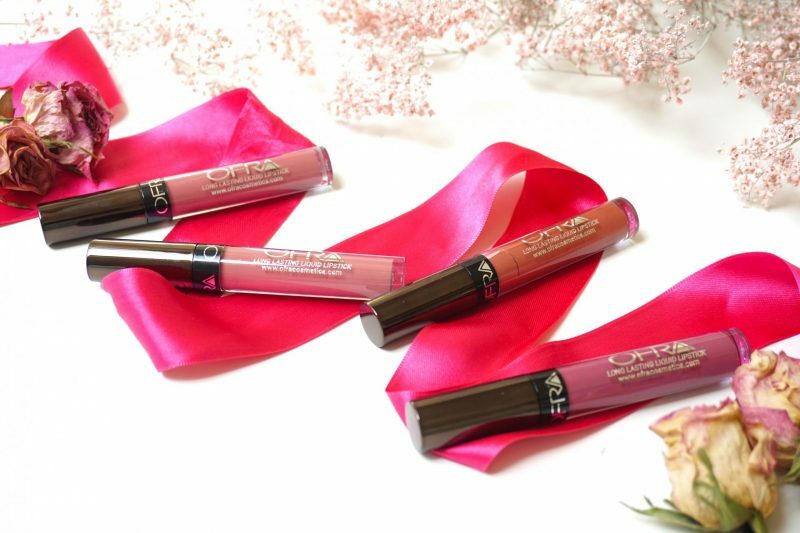 Today I will talk about one of my favorite liquid lipsticks: Ofra Long Lasting Liquid Lipstick in the shades Mocha, Pasadena, Americano & Manhatten. These shades were gifted to me by LashAddict.nl, thank you so much! Before I received these ones I already owned the shade Charmed which was in collaboration with Manny MUA. That one is almost empty and dried up, thats how much I used the Ofra lipstick! So you may can imagine how many times I’ve used it. Ready for some pretty colors? Let’s get started! Let’s start with the packaging! The new Ofra Liquid Lipstick tubes look so much better. Before this they really had a plastic feeling to me and they looked so bulky like a drugstore packaging. Now they made the cap a metallic look with the brand name underneath and printed at the front. I do have to mention that the brand name on the plastic part doesn’t stay forever. After using it a few times and throwing it in my bag, the silver print started to fade away ): also the main reason why you didn’t see these lipsticks often on my flatlays pictures on my Instagram because you can’t see the brand name anymore (that’s how often I have used them!). Here is the wand! I talked about quite a lot of liquid lipsticks and their wands, not all of them are that perfect. I can honestly say that the Ofra wand is just perfect: the cushion has nice short fibers, you can easily draw a line with it along your lips, it hold the right amount of product and what do you need more? As you can see the stick does get a bit dirty bit it doesn’t clog the product in the tube. Just make sure that when you pull out the wand you don’t make weird jiggly moves. You will instantly get the right amount of product on your wand! I received 4 shades: Mocha, Pasadena, Americano and Manhattan. Mocha: a beautiful light mauve pink. I prefer wearing this shade at work or more casual days but still want to get some attention to my lips. It is the perfect shade that between a soft pink and more orange tone (okay, I just found out that I also can’t describe a color). Pasadena: a soft powdery pink. This has been my go to shade when I just feel casual or don’t want to feel all dolled up. It reminds me of the Ofra shade called Charmed, which was created in collaboration with Manny Mua. This is the favorite shade of the owner from LashAddict.nl! Americano: an orange/terracotta shade. It looks like mine Makeup Monster Cosmetics liquid lipstick in the shade Cornucopia, which is my current favorite orange (almost red from Makeup Monster) shade. This shade looks amazing when I have a burgundy makeup look! Manhattan: an intense purple/pink shade. It may look very dark bit in my opinion it looks very casual when applying it on the lips. I got a lot of compliments when wearing this color, it makes me look more mature and seductive. 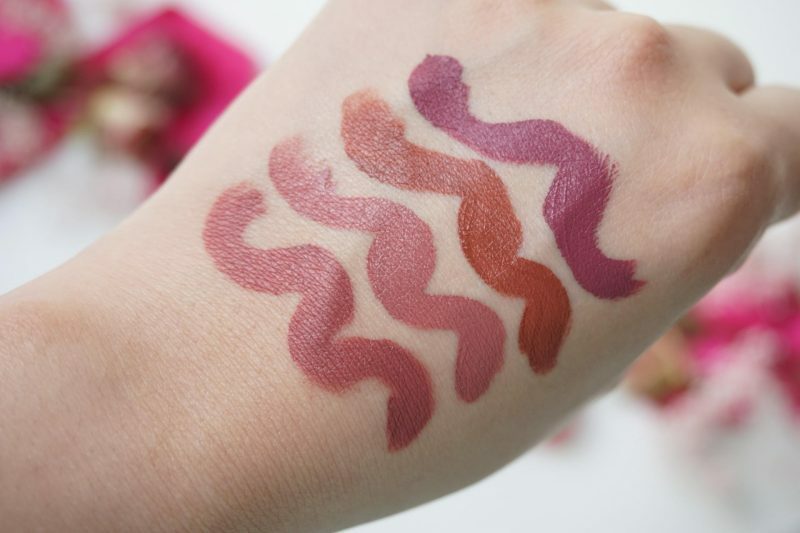 The consistency of the liquid lipstick is on point! It’s been a while since I used such a great formula of a liquid lipstick. I think I can compare the texture of this lipstick with the Gerard Cosmetics liquid lipsticks and the Tarte Cosmetics Tarteist Creamy Matte Lip Paint. 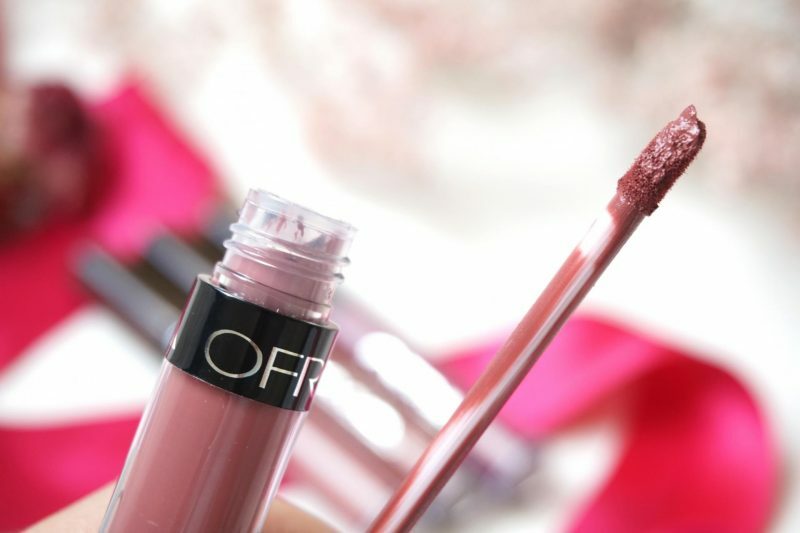 It is creamy when applying it on the lips, it just glides without any problems. It covers your lips in one swipe and easily to spread all over the lips. Everytime when I use this lipstick I’m surprised that I doesn’t dry out, how many times I opened the tube to use it. When I go to work I always apply my lipstick on the train. 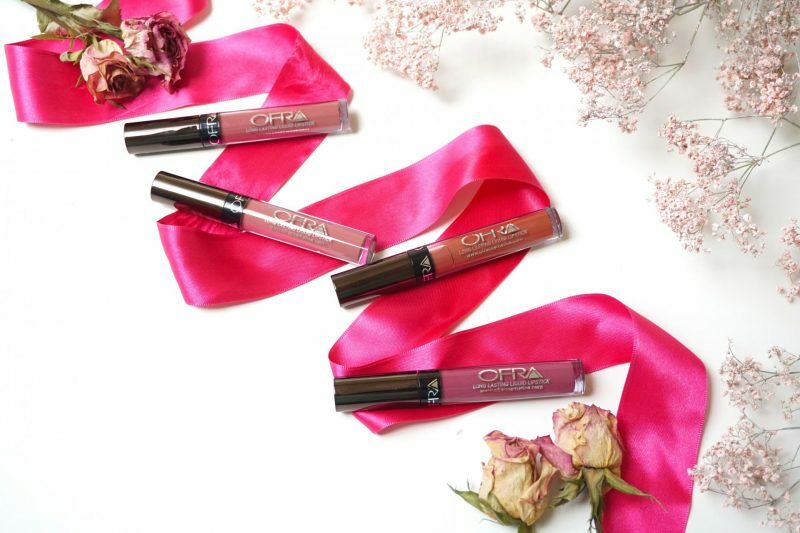 The Ofra lipsticks are so easy to apply because of the creamy formulations, covers your lips in one swipe and the wand it steady enough to line your lips and fill them in without 2 minutes. The color doesn’t really change when applying. Do make sure to fully dry your lips for 1 whole minute before eating or drinking, otherwise is will disappear or move. The formulation is even perfect for reapplying it: it doesn’t look dry or cracked. With some matte liquid lipstick your lips starts to peel or it will look very dry. 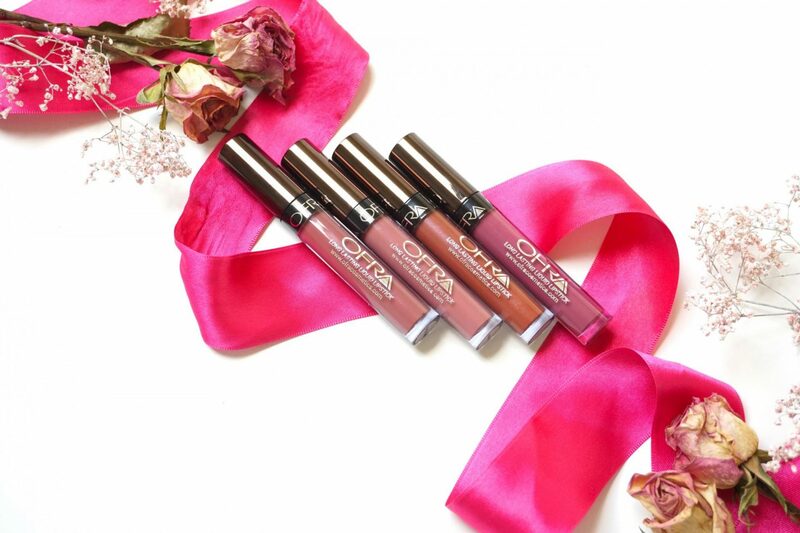 With the Ofra it still looks velvet matte without any dry layers. The duration of the lipstick is LONG. When I use this when working I drink a lot of coffee, water and tea. My new colleague asked me which kind of lipstick I was wearing because it was already 3pm but I didn’t reapply my lipstick. Yaaaas, it was the Ofra (to be more specific in the shade Manhattan)! A great liquid lipstick doesn’t have to be expensive. 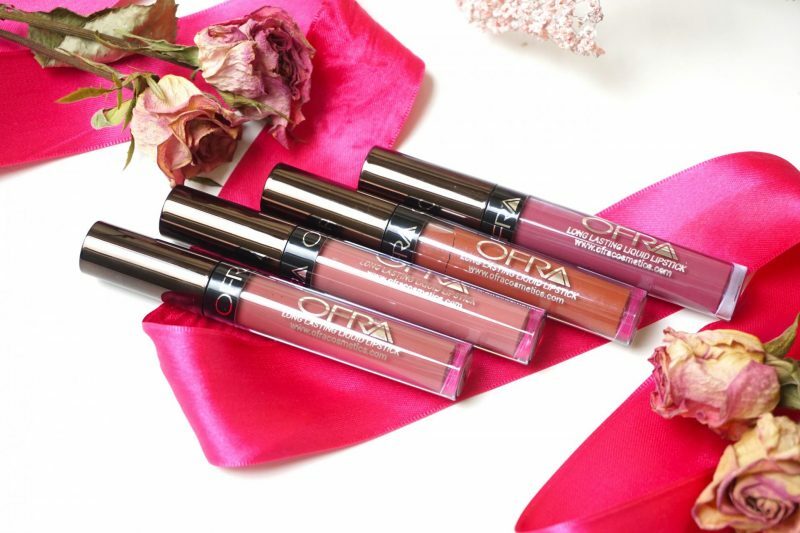 Ofra Cosmetics offers a large range of different shades and I can guarantee you that you will find your perfect shade! 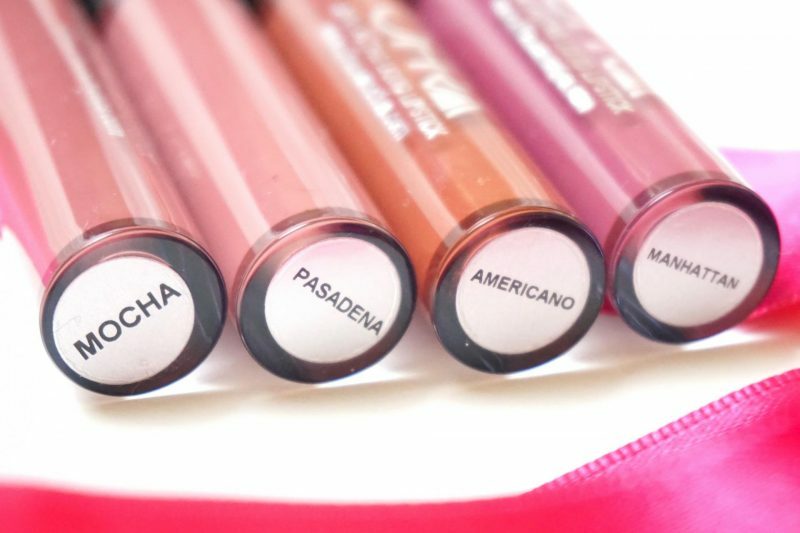 My favorite shades are Mocha and Pasadena because I can wear them everyday for every ocassion. I’ve been wearing all these Ofra shades non stop since I got them. I kinda forgot my first Ofra lipstick that I purchased from the Manny Mua collection, but I’m so happy to rediscover the lipsticks again. 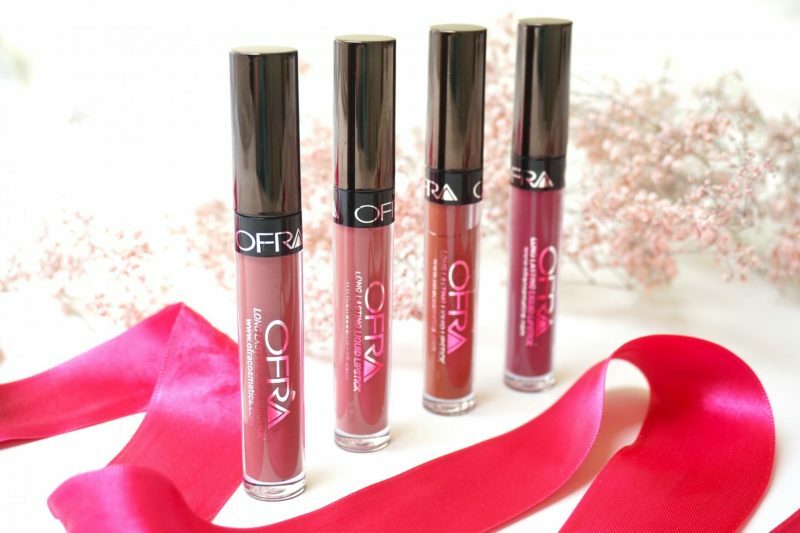 I can recommend you the Ofra Long Lasting Liquid Lipstick when you are looking for a great matte liquid lipstick that doesn’t dry out your lips, looks fresh when you reapply it and doesn’t need a lot of touch-ups. I can promise you that you won’t be disappointed, at least try one of these shades and you never want something else! Thank you to LashAddict.nl for these gifts! 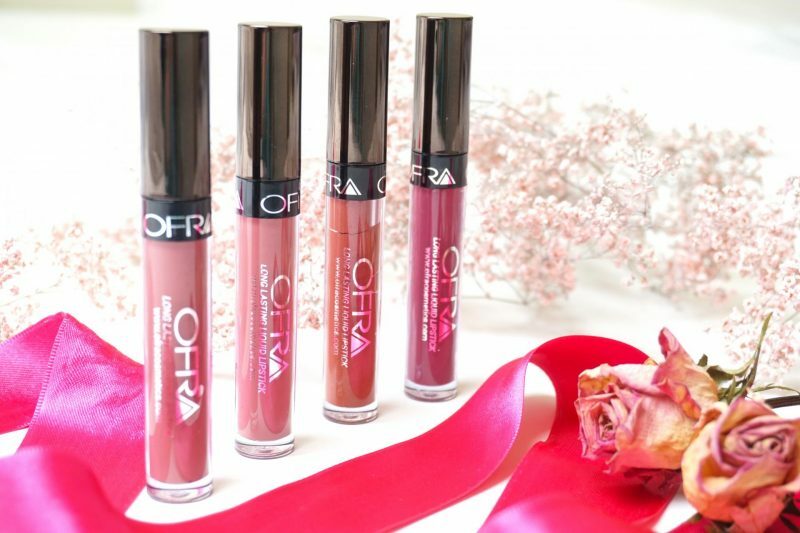 You can get your own Ofra lipstick here. Ik heb niet zo heel veel matte liquid lipsticks, maar Mocha en Pasadena zien er erg mooi uit! wauw wat een prachtige swatches zeg! Haha I loooove when products get inspo from SoCal! I am very inclined to get Pasadena just because of the name (also I love the color)! These look beautiful and I’ve actually not tried anything from Ofra, all I know about them is their numerous collabs with YT beauty gurus. I really appreciate the price point! Great post as always babe!